If you are one of those users who doesn’t wanna use powerpoint then this Powerpoint alternatives guide will give you what exactly you’re looking for. 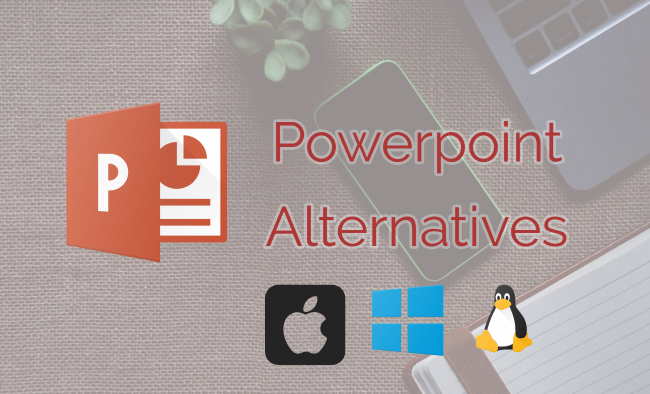 Here, I am gonna share the best Powerpoint alternatives for Mac, Linux and Windows 10. Some of these may not be available on Linux. So, go ahead and try a few of these and let our other users know what’s best according to you. PowerPoint is the necessary software that enhances your performance with its slide backdrop. These days, it is the new cool with definite layouts, web displays, pops up images and statistic representations with charts, tables, graphs, lines and many more. In this technology-based world, PowerPoint presentations are slowly climbing the ladder to reach the significant spot of technological importance. Undoubtedly, Microsoft PowerPoint is the first software that comes to mind when we speak of it. However, there are other effective alternatives to Microsoft PowerPoint. You can keep the conventional PowerPoint aside and use these best alternatives for your Windows 10 and Mac browsers. 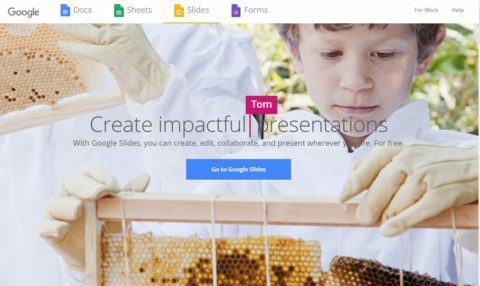 Google slides the presentation program that is part of Google drive services. If you intend to grab on to the best free software in the market, this one must be your choice. It is compatible with Windows versions and Mac as well. 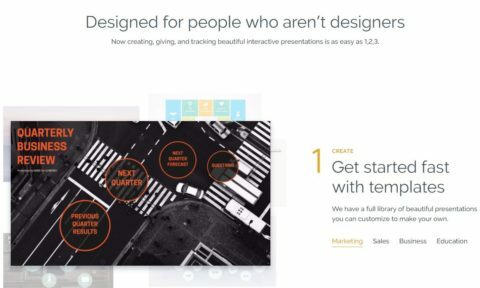 Slides allow users to make presentations with authentic layout tools and also promote user collaborations online. You might want to keep that WiFi connection. It supports Microsoft format files that can be opened, edited, and shared by multiple users on the network. A previous revision history is immediately saved to help revert to an older design. It has a sidebar chat to communicate with the others working on the file. You can also edit your files offline if you are on the Google Chrome web version. A chrome extension – ‘Google Docs Offline’ is all you will need. This does not mean that Slides doesn’t support other web browsers. It runs effectively on Mozilla Firefox, Apple Safari, and Internet Explorer among others. It has intelligent applications where you can assign jobs to users working on the files. You have to type the name of the individual on the slide, and the task will be assigned to him. Also, it suggests you with pre-designed templates that are related to the information you are adding on the slide. If you are looking for a decent presentation without spending a penny, Google Docs does the job for you. If you are someone who is inclined towards drawing stories on a tissue paper in the cafeteria, you will love Prezi! The software is a modified version of PowerPoint software in the market. Unlike the typical slide presentation, Prezi lets you design visual stories. The templates and designs you’ll need to make the software provide your story. You can conveniently zoom in on a topic or pull back to view other content. The Prezi business version allows you to collaborate with others on the network where you can have virtual work rooms for interactions. It is similar to Google collaborations but cooler and better! It is more like a map you zoom in and zoom out of during navigation. The presentation involves more images, animations and flashy display of graphics. You can undoubtedly include your statistics like charts, tables or graphs. It is available for both Windows and Mac. The basic version is free of cost up to 100 MB storage limit. The free version has certain locked features, and the presentation comes with a Prezi watermark. You can avoid this by opting for the pro version of the software. But the pro versions need you to retrieve the bucks from your pocket. They are worth it! This software is an impressive replica of the Microsoft PowerPoint. The features and tools are very similar to the Microsoft creation. 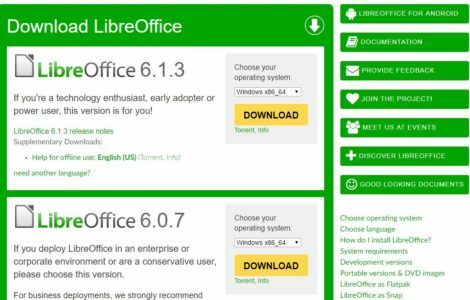 LibreOffice is a branch of the initial Openoffice.org that has a good reputation in the market. Impress is the one associated with PowerPoint presentations. It is compatible with a variety of computing platforms like Windows, Linux, MacOS among others. It is one of the most actively functioning open-source applications and is available in 110 languages. The presentations prepared can be transferred and viewed in the SWF format in any computer or device that has Adobe flash player installed. You can create slideshows, charts, and graphs and enter texts in different layouts. Editing and sharing are very user-friendly. The software helps you to work on your files both offline and online. The best part is that this software is available for free of cost and supports Microsoft PowerPoint format. You can import and export files and images from Microsoft to LibreOffice and vice-versa. It has an easy drag and drops User-interface along with pre-designed clipart and backdrop templates. If you don’t know what LaTeX means, it is a high-level language that is used as a document preparation system. It helps to give out high-quality results with specific attention to detail using the TeX typesetting program for formatting the final output. Mostly used for scientific documents, this can be your best friend to make an academic project or thesis presentation. But be warned that this software doesn’t give you pre-defined templates or layouts. You need to be aware of LaTeX to design your layout and add text to the presentation. Though it is time-consuming and horrifying to consider, it provides you with better results than the remaining software. You have to know the right way to use it, and then you can work on every fine detail of the presentation. Also, you have themes to determine how your output appears ultimately. You have the complete control of how your presentation will turn out instead of trusting a GUI to do that job for you. It is compatible with both windows versions as well as MacOS and this is one of the best powerpoint alternatives for Linux users also. This software is the definition of work made easier! All you have to do is enter your content, and that is magically converted into an organized slide presentation using the templates. There is not much that a user has to do while dealing with this software. The only thing to keep in mind is to enter the right data and have a stable internet connection. It is comparatively faster than the afore-mentioned software applications. The most important feature is the pre-filled decks that can be used for making instant thesis presentations, business overview and proposals and educational projects. It doesn’t require any form of installation and allows online collaboration with other users. It supports Microsoft format, and you can easily import content and images from it. The export of files can happen directly (PPT format) or in the PDF format to use in the offline mode. You can even embed the presentations made on the software with online websites by using simple HTML script (Thanks to it being cloud-based software!). Based on HTML5 and JAVA script, this software is functional in all web browser applications like Google Chrome, Mozilla Firefox, Internet Explorer and Apple Safari. It works perfectly on Mac, Windows versions and Android. The software is very similar to Prezi and often compared with it. But based on the user preference, it is our choice to opt for the one that fulfills our requirements the most. This is one of my favorite Powerpoint alternative for MAC users. Instead of playing safe all the time, try to use one of this software to create the best Presentations! I’m sure people will appreciate your efforts and like your new way of displaying the same old data.